In 2017, the State of Maryland contracted with a design-build firm for a much needed lane expansion and traffic safety improvements on I-270, a major interstate between Washington, DC and Frederick, MD. The proposed improvements required corridor mapping along 12 miles of I-270, in addition to topographic mapping meeting very high precision (0.05 ft) requirements for elevations along five different interchange areas being impacted by the construction. AXIS was given a four-week time frame to capture and process the data for the client. Contract specifications required .05 ft accuracy for the contractor to properly grade the exit ramps along the corridor; this level of accuracy would require extensive conventional field surveying effort in high volume, high speed traffic flow areas. Working in the roadway is labor intensive and incurs high costs not only in traffic safety and personnel protection, but also in its impacts to local and regional business via substantially increased congestion. Mapping the entire corridor by ground survey would take more resources and time than the project schedule would allow. Control needed to be one-third of the project requirements, (>0.02 ft.), necessitating high precision leveling to be completed by field crews at each interchange. 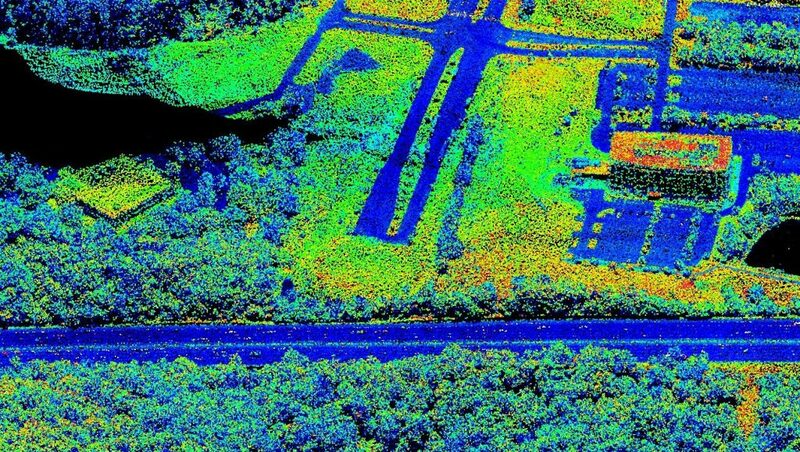 To support this project, AXIS provided mapping of the project with airborne LiDAR and limiting ground surveying efforts to control and quality assurance testing workflows along shoulders and off travel lane areas of the roadway. The project involved the meshing of multiple datasets from a number of sensors. Leveling data errors proved to be millimeter level or less along the test areas. QA testing of the data based on the high precision leveled test points at regularly spaced intervals in each work area showed that LiDAR data substantially outperformed project requirements. The project required no lane closures, no personnel presence in travel lanes, and due to the capabilities of the LiDAR sensor platform and surveying technologies employed, was able to deliver the project data on time, on budget and with minimal impact to the traveling public. 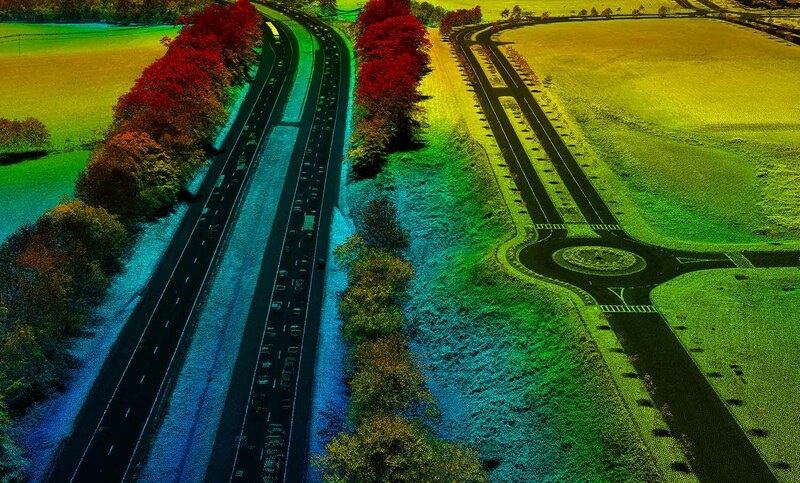 AXIS provided a highly accurate map of interchange areas using both, LiDAR flown via fixed-wing aircraft at low altitude, and highly accurate horizontal and vertical control, captured via ground survey crews at each interchange. This method of acquisition virtually eliminated disruptions to traffic, minimized risk to I-270 commuters and road workers, and resulted in a lower acquisition time and cost while still maintaining the client’s required level of accuracy.